The Bernice Pauahi Bishop Memorial Chapel is available for funerals or memorial services for designated members of the KS ‘Ohana. Services performed in the Chapel shall affirm the Protestant tradition. Requests for funerals or memorial services begin by contacting the Chaplain’s Office at (808) 842-8204 or online via this website. Who can use the Chapel for their funeral or memorial service? Alumni, trustees, faculty/staff, retired faculty/staff and immediate families of all the above categories. 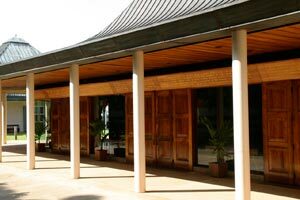 Use of the Chapel is also permitted for the funeral of a current student of Kamehameha Schools. The Chapel is not available for use by the families of current students. Immediate family is defined as a spouse, parent/step-parent, son/step-son, daughter/step-daughter, brother/step-brother, sister/step-sister, mother-in-law, father-in-law, son-in-law, daughter-in-law, grandparents, grandchildren and present legal guardians. We do request a minimum of two weeks notice for planning and staffing purposes. Please call the Chaplain’s Office for availability of the Chapel. After contacting the Chapel Office, please complete the Funeral Application and return it as soon as possible, either by mail to the address below but preferably by email to expedite the arrangements.